A kind man named Andrew brought to my attention Jackie, an albino jackdaw, who lives in the trees of Avesbury (in the UK), the largest stone circle in the world, in SW England. 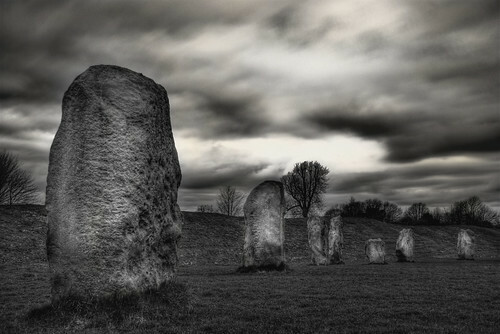 Avebury Stone Circle, originally uploaded by Quentin C.
Jackie was first spotted on June 29, and is about two months old now. Obviously, being at such a magical place is significant, especially as white animals with red eyes were seen as guides to the otherworld in Celtic mythology.